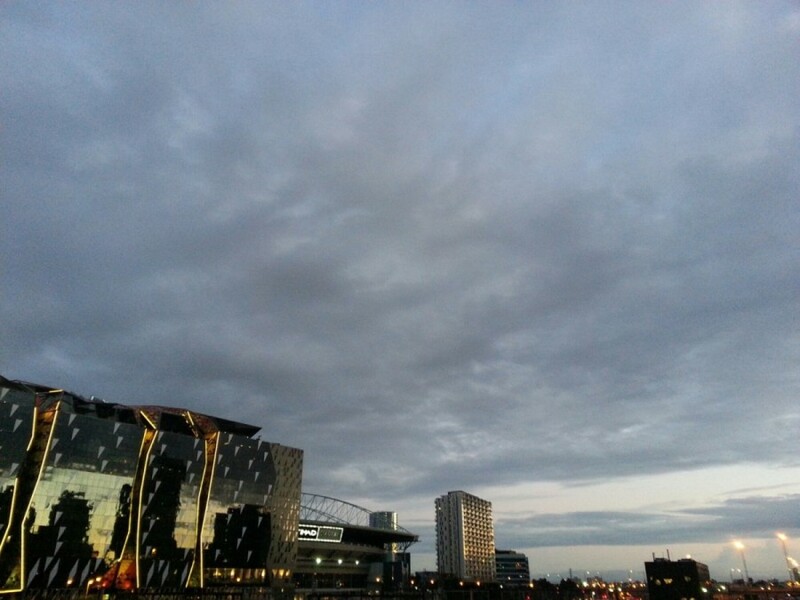 Somewhat symmetrically… back at southern cross for sunrise. Turns out our fellow passenger from London was also catching the Sandringham line, we meet him again on the platform. Dolphins! On the bay past Brighton Beach. Good to be home.